Based on our innovative R.A.M.P. Mount platform, this Gen II Edition has all the features you need. 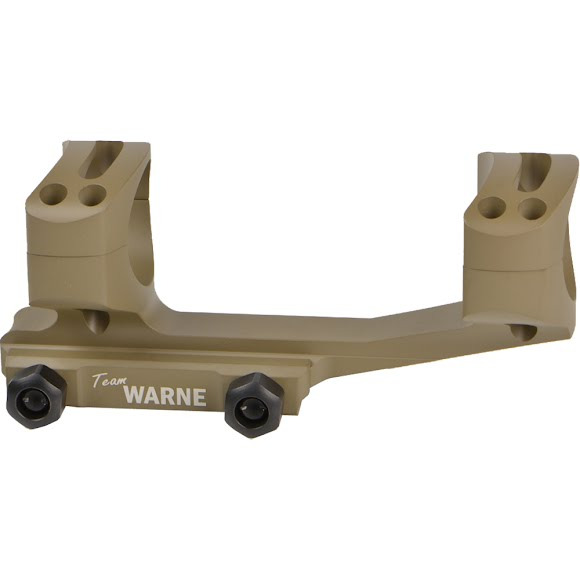 The X-SKEL Mount offers a lightweight scope mounting solution for your MSR style firearm with the same durable, return to zero reputation that you've come to expect from Warne. Based on our innovative R.A.M.P. Mount platform, this Gen II Edition has all the features you need. The X-SKEL Mount offers a lightweight scope mounting solution for your MSR style firearm with the same durable, return to zero reputation that you&apos;ve come to expect from Warne. This mount is CNC precision machined from 6061 aluminum and we&apos;ve been able to reduce the weight by over 30%, compared to our R.A.M.P. Mount by utilizing a skeletonized body and ring caps. The X-SKEL provides an additional inch of forward cantilever, compared to the original SKEL Mount, as well as a 1 piece side clamp design for additional strength. The extra cantilever provides proper eye relief when using scopes with large eye boxes and will give extra space behind the mount for accessories like the Warne A645 45° side mount adaptor.